Heavy, Single-Piece Construction: Dampens vibration and reduces overall number of parts. Foldable Handles: Padded, ergonomic handles are stiff under operation and fold for easy transport and storage. Premium Inside Mounted Engagement Bale: Plus padded handle for operator comfort and ease of use. Infinite Heavy-Duty Depth Adjustment: Save on blade wear when compared to preset adjustments that may promote premature flail wear. 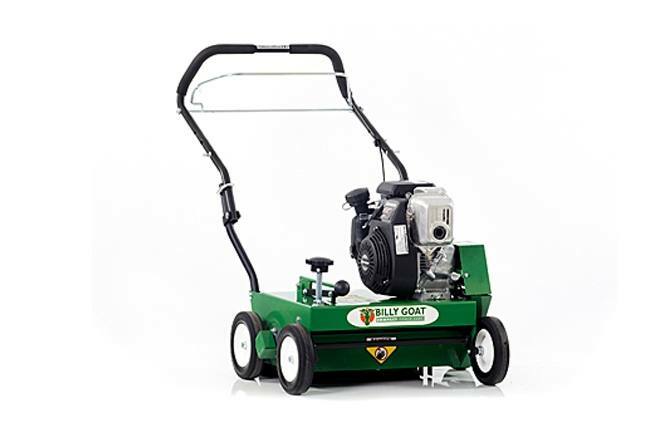 CR Flail Reel: Perfect for accumulated thatch to 1/2 inch or more. Helps restore healthy growth of turf. Construction Grade Cast Iron Bearings: Complete with grease zerks for purging dirty grease.